The third annual Royal College of Nurses Cancer Nursing Conference takes place on the 1st May at the De Vere Grand Connaught Rooms, London. 'The patient experience' is the focus of the 2019 conference and it is expected that over 150 cancer nurses will attend to discuss recent developments on key topics of care delivery. MCO have been invited to draw on experience working with NHS Scotland through the Cancer Innovation Challenge and with Macmillan and the Royal College of Radiologists and present on how digital tools can improve patient outcomes. Click here to view MCO's article previously published in Cancer Nursing Practice. This international conference hosted by The Data Lab, Scotland, brings data leaders and practitioners together with the aim of sharing ideas to enhance data driven innovation. MCO was invited to take part in a panel discussion with the deputy Chief Medical Officer for Scotland, Dr Gregor Smith, and the two other winners of Cancer Innovation Challenge funding to highlight progress that's been made in advancing cancer outcomes in Scotland as a result. We also had the opportunity to discuss the project and highlight the importance of using outcomes data to support cancer care to the First Minister of Scotland, Nicola Sturgeon. Click here to find out more and here to see photos from the event. MCO are pleased to announce being shortlisted again in the technology category for IT Innovator of the Year at the Health Investor Awards 2019 taking place on 12th June at Grosvenor House. 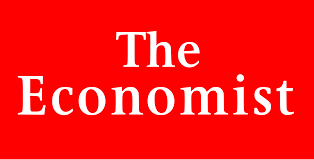 Now in it’s fourth year, the global Economist Events War on Cancer series brings together clinicians, patients, providers, industry and policymakers to discuss new opportunities for patients to take ownership of their diagnosis, treatments and oncology journey. MCO’s Tim Williams joined Dr Neil Bacon, President and CEO of the International Consortium of Health Outcomes Measurement (ICHOM) and Dr Vivek Muthu, chair of the Economist Intelligence Unit in conversation to discuss our experience implementing outcomes measurement in oncology care and the “Promises and Pitfalls of Patient Access to Data”. Join the debate @EconomistEvents #WarOnCancer. Following on from February's article - 'PROMs in Practise', MCO CEO, Dr Tim Williams discusses how patient-reported outcomes can support patients undergoing cancer care, focussing on how MCO is supporting UK NHS oncology services to capture and track symptoms and side effect data during acute care as well as toxicity and late effects many months after treatment has finished. Click here to read the previous ICT article. The Cancer Innovation Challenge have created a new animation to showcase the winning projects at this year's National Cancer Research Institute’s (NCRI) annual conference held in Scotland for the first time in November 2018. Click here for more info about CIC at NCRI and here to watch the video. MCO were delighted to be hosted by the 'Cancer Innovation Challenge' at the UK's largest forum showcasing the latest advances in cancer research. Through the Cancer Innovation Challenge, MCO are now working with NHS Ayrshire and Arran and The Beatson West of Scotland Cancer Centre to support the acute care and long-term follow-up of patients with breast and blood cancers undergoing chemotherapy. An update on developments with My Clinical Outcomes’ NHS Scotland and Macmillan / Royal College of Radiologists oncology projects for subscribers to Cancer Nursing Practice. Click here to visit Cancer Nursing Practice and click here to view. Read our latest guest blog for the Cancer Innovation Challenge on progress so far working with clinicians and patients at NHS Ayrshire and Arran, and what’s next for our work with NHS Scotland to measure and improve cancer outcomes. MCO, Macmillan Cancer Support and The Royal College of Radiologists are working in partnership with Imperial College NHS Foundation Trust, Sussex Cancer Centre and Velindre Cancer Centre, to remotely monitor patients and screen for long-term side effects in patients who have undergone pelvic cancer radiotherapy treatment. NHS A&A and MCO have signed a long-term agreement to continue work started during the Cancer Innovation Challenge with MCO being used to help remotely monitor symptoms and side effects of patients during chemotherapy to help inform treatment decisions and improve quality of life. The benefits of incorporating digital patient-reported outcomes measurement into cancer treatment featured prominently again at this year’s American Society of Clinical Oncology (ASCO) conference. There was also a discussion about barriers to adoption of PROs in routine practice that centred on the need for cost-effective, specialist digital tools. Read more about the discussion at the conference here. 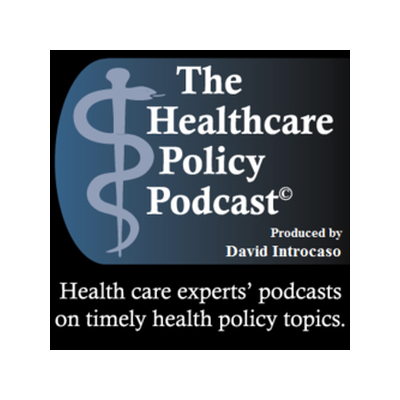 Following a recent 'The Healthcare Blog' opinion piece (see below) co-authored with US-based healthcare policy consultant David Introcaso, Tim Williams discusses UK perspectives on the use of digital outcomes measurement, lessons learned and potential applicability to for US providers with David in his regular podcast, The Healthcare Policy Podcast. In this years annual report, Dr JJ de Gorter references My Clinical Outcomes role in the submission of PROMs and their extension of collecting PROMs for cosmetic procedures using the platform: "We have been submitting data for many months and have extended our collection of PROMs beyond hip and knee replacement and cataract surgery to include cosmetic procedures using our digital platform, My Clinical Outcomes. " MCO have once again been named as finalists in the HealthInvestor 2018 awards ‘Health Technology Company of the Year’ category. The awards aim to recognise innovation in the independent healthcare sector and the judges look for those who have made an outstanding contribution to healthcare in 2017. The results will be announced at Grosvenor House Hotel on 13th June. The Private Healthcare Information Network (PHIN) have for the first time released information about which private healthcare providers are making the best progress towards the aim of collecting and submitting comprehensive outcomes data for publication. MCO have worked with Spire Healthcare to implement an innovative digital outcomes programme where others in the sector have opted for traditional pen-and-paper approaches to data collection. We are delighted therefore that they, and in particular Spire Leicester Hospital, have been singled out by PHIN as leading the way in the whole private sector in the UK on this essential initiative that will bring much needed transparency on quality to private healthcare. 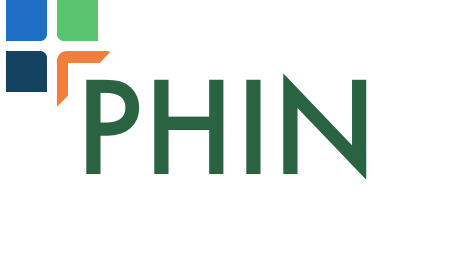 As well as meeting their requirements for PHIN, MCO gives patients and clinicians of Spire Healthcare visibility of outcomes data in real-time to support individual treatment choices. Future releases by PHIN will see greater granularity in the data, in time showing variation in average health gain for treatments of different conditions, in different hospitals and by different clinicians. Click here to read the PHIN press release. On the 25th January 2018 MCO were invited to showcase at The London Stock Exchange 4th Annual Future of Healthcare Investor Forum. Hosted by leading industry experts, the forum focused attention on the direction of leading technologies and investments for the future in healthcare. This was the first year in which keynote presentations tackled innovation issues regarding digital health. MCO were delighted to be selected as one of the five digital health SME’s invited to exhibit at the forum. MCO are working to leverage our technology to help address this significant need in an important disease area. Click here to read the blog that discussed the developments. Healthcare.Digital invited MCO to write an article on the MCO approach and the benefits of digital outcomes measurement, including our work in the UK private sector and more recently, oncology, following the publication of the survival benefit that can be conferred for patients with advanced cancer - see here - , and how digital outcomes measurement can deliver a higher quality care to a patient at a greater value to the healthcare system as a whole. A UK randomised controlled trial involving 313 patients, 51 surgeons and 32 hospitals used post-treatment Patient Reported Outcome Measures (PROMs) data collected at six and twelve months to demonstrate that a common surgical treatment of shoulder pain (arthroscopic sub-acromial decompression) is no more effective than not operating on these patients. This surgery is commonly performed in the UK and this study shows that simply by measuring outcomes data provides essential new information about the effectiveness of treatments. Routinely collected outcomes data has the opportunity to improve care for all patients while reducing the significant costs associated with providing ineffective treatments. Click here to see the research. My Clinical Outcomes had the privilege of attending and exhibiting at the 5th annual ICHOM conference on the 25-26th October in Washington DC. The conference, attended by health system leaders from around the world, centred on enabling and accelerating the process towards value based healthcare, including focussing attention on “the patients view”, “analytical potential” and the “future of outcomes measurement". MCO are a technology affiliate of ICHOM and from our stand we shared our experience of implementing electronic outcomes measurement programmes in the UK NHS and private sectors with scores of delegates over the two days. "Tim Williams and Sally Smith exhibiting MCO"
For more information about the conference and the agenda click here. My Clinical Outcomes is currently the most reviewed supplier on ICHOM TechHub. Click here to read more. MCO have been selected to join the second Digital Health London accelerator programme cohort of digital health companies. Announced at a launch event at The Oval cricket ground in London on 7th September. Digital Health London is a collaboration between the three London Academic Health Science Networks (AHSNs): Imperial College Health Partners, UCLPartners, the Health Innovation Network, and MedCity, with support from NHS England and the Mayor’s Office. The Accelerator programme, which will last for one year, aims to speed up the adoption of technology across London’s NHS. Please watch the video below to see a short presentation given by our COO Sally Smith introducing MCO at the launch event. Click here for more information on the launch event, the Accelerator programme and to see the companies involved. Laing Buisson’s annual conference for the private acute hospital sector will be at the Royal Society of Medicine in London and examines opportunities for growth in the sector, as well as underlying trends, including around outcomes-based commissioning and changes in technology. Tim will join Greg Swarbrick, Head of Healthcare Outcomes at BUPA and Matt James, CEO of PHIN, in a session on “Outcomes" and give MCO’s perspectives on the questions: “What do we really mean? And how do we get there?”, including an update one year on from implementation of MCO across Spire Healthcare. Click here for more information on the event and to register to attend. 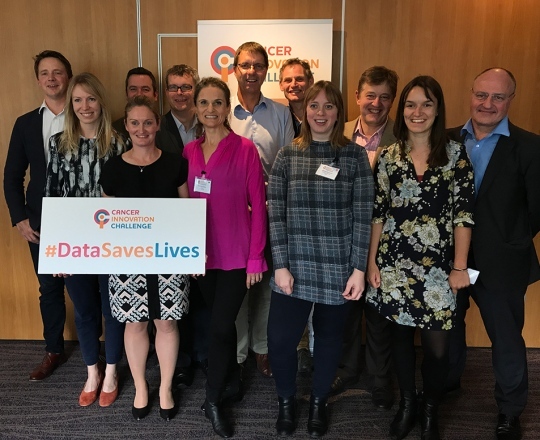 A team from Memorial Sloan Kettering Cancer Centre presented a randomised controlled trial that showed a median increase of 5 months survival for patients with advanced cancer who were asked to remotely track their outcomes using a digital platform like 'My Clinical Outcomes'. By comparison, only one of the seven new and very expensive drugs approved for use for advanced cancer patients in the US in 2016 had a greater impact on survival. Potential mechanisms included enabling earlier responsiveness to patient symptoms preventing later adverse consequences and patients being able to tolerate chemotherapy longer than usual. The implication is clear, however, that remote outcomes monitoring should now be a routine part of high quality cancer care. Click here to see the research and here for the write up in the Washington Post. Click here to read more details about the research. The World Economic Forum, in collaboration with The Boston Consulting Group (BCG), launched the Value in Healthcare project in July 2016 to stimulate a shift from fee-for-service to value-based healthcare that delivers health outcomes that matter to patients. This report from year one of the project identifies key enablers for the transformation that include the adoption of health informatics tools to facilitate the easy collection, analysis and sharing of outcomes data. It also identifies ICHOM as the international standard for outcomes measurement across disease categories. Click here to read the report in full and here to learn more about My Clinical Outcomes' affiliation with ICHOM. We are proud to announce that the British Standard Institution (BSI) has issued MCO with a certificate of ISO/IEC 27001 compliance (certificate number IS 666214). A robust external audit of all legal, physical and technical controls, policies and procedures involved in our information risk management processes concluded that MCO "operates an Information Security Management System which complies with the requirements of ISO/IEC 27001 for the provision of patient outcome measures". This accreditation provides our clients with important further reassurance and safeguards about our ongoing commitment to information and data security. A team from Harvard Medical School and Massachusetts General Hospital highlight the clinical utility of systematic PROMs measurement in surgical patients and the opportunity that digital tools can do this by enhancing and not disrupting clinical workflows. They conclude: "Ultimately, if physicians and health care systems embrace the opportunity that PROMs present, the dual goals of value-based and patient-centered care can be achieved." MCO has been shortlisted as a technology finalist of the 2017 HealthInvestor Awards, recognising achievement in the business of healthcare. Winners of the 'IT innovator of the Year' category will be announced during the awards dinner on 1 June at the Grosvenor House Hotel in London. The Organisation for Economic Cooperation and Development (OECD) has, on behalf of its 35 member countries, begun a project to understand how to better collect and report internationally comparative outcomes data that represents health system performance based not on inputs and activities but on the outcomes of care from the patient's perspective. The project includes a commitment to work with ICHOM, among other organisations such as the WHO and Commonwealth Fund, to extend and deepen the benchmarking of patient-reported performance indicators across the 35 member countries. Click here for more on the collaboration and here for details about the project. The Science|Business event involved experts from across Europe who debated and discussed the challenges in analysing and acting on data concerning patient outcomes. My Clinical Outcomes COO Sally Smith highlighted the importance of using digital platforms for real-time data analysis and to engage patients in the process of outcomes collection. The 2016 conference covered domestic and global developments in PROMs and their utility in clinical practice. Partnering with iWantGreatCare for the day, MCO exhibited at the event and joined the discussion as an expert in digital PROMs implementation and collection. Dr Tim Williams recently took part in the annual European Health Forum, Gastein. The AppGastein2016 mHealth focussed on the future of health technology applications in supporting healthcare delivery across European health systems. Download slides from this panel session and others on the EHFG website here. Click here for more information about EHFG 2016. On the 7th-8th September My Clinical Outcomes were in Manchester for NHS England’s Health and Care Innovation Expo 2016. It was great to meet and discuss with other innovators in the health sector the importance of technology for the collection and measurement of outcomes data from the patient's perspective. Click here for more information on this year's Expo. Tim Williams was invited to speak at The Private Healthcare Summit 2016 on June 21st. This year's summit focussed on ‘Revitalising private healthcare for the 21st century.’ Tim spoke about leveraging digital technology to make patient-reported outcomes measurement useful. Spire Healthcare have now engaged My Clinical Outcomes as part of their ongoing commitment to transparency and quality and as part of the new requirement to collect outcomes data on private patients for submission to the Private Healthcare Information Network (PHIN). MCO is now being rolled out across all 39 of their UK facilities. MCO are especially pleased to have been chosen by Spire Healthcare because of their historical commitment to evidencing the high quality of their services having been the first private hospital provider group in the UK to start to publish outcomes data publically through their website. My Clinical Outcomes had the pleasure of attending the 4th annual ICHOM conference on May 16-17 at University College London! It was the first time that the conference was held outside of Boston, USA and was their largest conference to date. This year’s conference focussed on the “why” and “how” of outcomes measurement. MCO are a certified technology supplier to ICHOM and shared our experiences of implementing the outcomes programmes in the UK with NHS and private providers. At this years conference ICHOM launched a new supplier directory, called the TechHub. Click here to read reviews of MCO on ICHOM's TechHub. This event on 'Advancing mHealth: Can the smartphone pioneer a new self-care agenda?' brought together two panels to discuss the role of the smartphone in future healthcare delivery. Tim joined a panel discussing current gaps in the health app market. The panel acknowledged that much of the hype around health apps remains focused on fitness trackers with limited clinical utility, but that the increasing digitisation of health systems in general as well a push from patients to be helped to manage their care on their devices is creating opportunities for developers of clinically focused apps. Click hereto find out more. We are delighted to announce that the Hospital of St. John and St. Elizabeth has chosen My Clinical Outcomes to help them collect outcomes data for submission and publication through PHIN. Based in North London, the Hospital of St. John & St. Elizabeth is one of the largest independent hospitals in the UK. MCO is being implemented for private patients undergoing each of eight procedures, including hip and knee replacement, shoulder surgery, cataract surgery, groin hernia repair, trans-urethral resection of the prostate and nasal septoplasty. Data for submission to PHIN will include a condition specific and generic well-being measure collected pre-operatively and once post-operatively for each. Patients will then have the option to collect ongoing data to be able to track their progress over time. Our CEO was recently invited to take part in a retreat held by The Health Foundation, 'Measuring outcomes that matter to patients: what they are, why they matter and how we might measure them.' During the two day event the group, which contained academics, clinicians and experts with experience in developing outcomes tools, standards and programmes, as well as patient leaders, explored the relationship between and role and use of person-centred outcomes (PCOMs) and more robust standardised measures (PROMS) and the roles and merits of each in performance management and quality improvement. In Spring 2015 MCO was awarded PHIN accredited supplier status. to help UK private hospitals meet the requirements set by the Competition & Markets Authority to collect and publish outcomes data. After the 2nd Annual ICHOM Conference last year, our CEO, Dr. Tim Williams will be attending again this year, but this time representing MCO as a Certified Supplier to ICHOM. Tim is taking part in a lunchtime breakout panel session on implementation and IT solutions for the collection of ICHOM Standard Sets. This year's conference also sees the launch of 8 more outcome sets, Advanced Prostate Cancer, Cleft Lip & Palate, Depression & Anxiety, Hip and Knee Osteoarthritis, Lung Cancer, Macular Degeneration, Parkinson's Disease, and Stroke which will be working with ICHOM to incorporate into MCO very soon following their release. We are delighted to announce that following our efforts to develop MCO to deploy the initial ICHOM outcome sets, including Low Back Pain and Parkinson's Disease, My Clinical Outcomes has now been formally accredited as an ICHOM Certified Supplier. We very much look forward to continuing to work with ICHOM, and healthcare providers around the world, to incorporate and deploy the International Standards Outcome Sets for new conditions as they are developed. Spring Active are the only UK based provider of vertically integrated care pathways that follow UK National Institute for Health and Care Excellence (NICE) guidelines for self-management through to high intensity Combined Physical and Psychological programmes. In early 2014, Spring Active approached My Clinical Outcomes to implement the ICHOM Low Back Pain Standard Set alongside other measures they were already collecting using pen-and-paper methods. MCO have worked alongside Spring Active to integrate and deploy the set as described, including building functionality to integrate the Euroqol EQ5D measure according to the specification of ICHOM and in-line with the licensing requirements of Euroqol. Peter Dines, Chief Executive of Spring Active said, "We are delighted to partner with My Clinical Outcomes to allow our patients to monitor their own progess online before, during and after treatment. We have a vision to collect and publish the largest cohort of back pain outcomes data in the UK and utilising the ICHOM data set we will be able to compare ourselves to our international peers. The My Clinical Outcomes team share our passions for collecting outcomes data and we have been delighted with our experience of working with them to date." Health Datapalooza is a US national health information technology conference, help annually in Washington DC, which focuses on, "liberating health data, and bringing together the companies, startups, academics, government agencies, and individuals with the newest and most innovative and effective uses of heath data to improve patient outcomes". Tim was invited by US Ministry of Health's National Coordinator of Health IT to take part in a panel discussion in the General Track on the Tuesday, co-hosted with NHS England, on "Accelerating Widespread Collection and Use of Patient Reported Outcomes in Electronic Technology in the United States & United Kingdom" and took part via a live weblink. The panel brought together US patient reported outcomes systems suppliers with academics and clinical registry experts interested in furthering UK and US collaboration in the area. As well as being an excellent opportunity to present and discuss our experiences in the UK, the session demonstrated that many of the challenges of implementation, engaging patients, making systems clinical useful and useable, as well as how data should best be analysed, insight communicated and advancements in practices made as a result were common to all and it therefore makes great sense to work together to share understanding. OPM is an independent research organisation that works with leaders, policymakers, regulators, commissioners and providers - as well as service users and communities - to ensure that services are designed and implemented efficiently, effectively and in the public interest. Tim Williams was a panelist at the recent Breakfast Seminar 'Realising the power of patients to product tangible and radical reforms - Moving from the possible to the essential in the new NHS'. He discussed his experiences of working with doctors and health managers and commissioners to shape My Clinical Outcomes to suit local needs and to engage patients with long term conditions to monitor their own health outcomes. 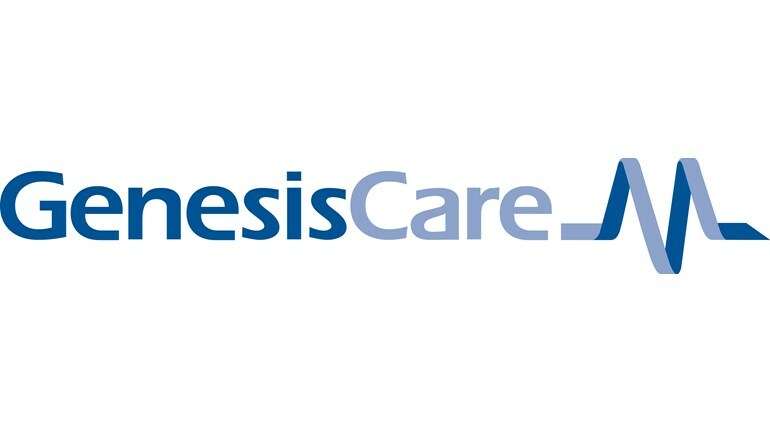 The leading orthopaedic device manufacturer is launching their new Personalised Knee System in the UK at seven NHS hospital sites from Spring 2014. My Clinical Outcomes is delighted to have been chosen to provide a mechanism for real-time monitoring of patients' clinical outcomes in the post-operative period. This will give patients and their orthopaedic surgeon understanding of the benefits of surgery, as well as to inform the need for face-to-face follow-up attendances. Training of Zimmer representatives was conducted on 26th February prior to expected roll-out between March and May. We are thrilled to be part of this fast-paced extravaganza of all things digital health and were on stage demonstrating during the "Improving and Enriching the Patient-Provider Relationship" session. The conference brought together innovative health technology companies, large corporate with an interest in digital health, and investors from around the world to showcase the latest news and developments. RT @achoud72: @MyClinOutcomes @cancerchallscot And radiotherapy is relatively cheap!